“The Freshman 15” is a popular way of referring to the phenomenon of new college students gaining weight during their freshman year (although the average is less than fifteen pounds). According to research, college students gain weight mainly due to an unhealthy diet and lack of exercise. If you're experiencing this as a college student, you should also know poor diet and lifestyle choices harm your teeth and gums as well. If you don't want to encounter major dental problems, then you need to make some changes beginning with the same cause for your weight gain: what you eat and drink. Like the rest of your body, your teeth and gums have the best chance for being healthy when you're eating a balanced, nutritional diet low in added sugar. And it's not just mealtime: constant snacking on sweets not only loads on the calories, it also feeds disease-causing oral bacteria. Sipping on acidic beverages like sodas, sports or energy drinks also increases the levels of acid that can erode tooth enamel. Some lifestyle habits can also affect oral health. Using tobacco (smoked or smokeless) inhibits your mouth's natural healing properties and makes you more susceptible to dental disease. While it may be cool to get piercings in your lips, cheeks or tongue, the hardware can cause gum recession, chipped teeth and soft tissue cuts susceptible to infection. And unsafe sexual practices increase your risk for contracting the human papilloma virus (HPV16) that's been linked with oral cancer, among other serious health problems. Last but not least, how you regularly care for your teeth and gums can make the biggest difference of all. You should brush and floss your teeth ideally twice a day to clean away plaque, a thin film of disease-causing bacteria and food particles. And twice-a-year dental cleanings and checkups will round out your prevention efforts against tooth decay or periodontal (gum) disease. Making your own choices is a rite of passage into adulthood. Making good choices for your teeth and gums will help ensure they remain healthy for a long time to come. Dental implants are widely considered the most durable tooth replacement option, thanks in part to how they attach to the jaw. But durable doesn't mean indestructible — you must take care of them. Implants have a unique relationship to the jawbone compared to other restorations. We imbed a slender titanium post into the bone as a substitute for a natural tooth root. Because bone has a special affinity with the metal, it grows to and adheres to the implant to create a secure anchor. This unique attachment gives implants quite an advantage over other restorations. It isn't superior, however, to the natural attachment of real teeth, especially in one respect: it can't match a natural attachment's infection-fighting ability. A connective tissue attachment made up of collagen fibers are attached to the tooth root protecting the underlying bone. An elastic gum tissue called the periodontal ligament lies between the tooth root and the bone and attaches to both with tiny collagen fibers. These attachments create a network of blood vessels that supply nutrients and infection-fighting agents to the bone and surrounding gum tissue. Implants don't have this connective tissue or ligament attachment or its benefits. Of course, the implants are made of inorganic material that can't be damaged by bacterial infection. 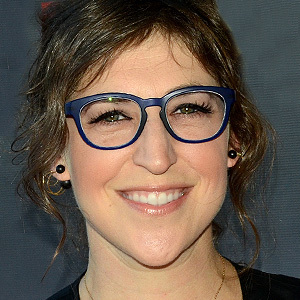 However, the gums and bone that surround them are: and because these natural tissues don't have these same biologic barriers to infection and perhaps access to the same degree of antibodies as those around natural teeth, an infection known as peri-implantitis specific to implants can develop and progress. It's therefore just as important for you to continue brushing and flossing to remove bacterial plaque that causes infection to protect the gums and bone around your implants. You should also keep up regular office cleanings and checkups. In fact, we take special care with implants when cleaning them by using instruments that won't scratch their highly polished surfaces. Such a scratch, even a microscopic one, could attract and harbor bacteria. There's no doubt dental implants are an excellent long-term solution for restoring your smile and mouth function. You can help extend that longevity by caring for them just as if they're your natural teeth. The American Dental Hygiene Association has designated October as National Dental Hygiene Month. Good dental hygiene is the best weapon against your mouth’s number one enemy: dental plaque. 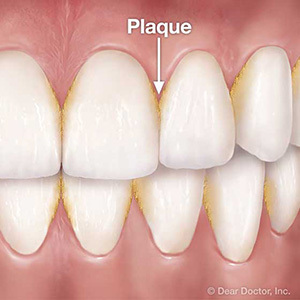 Plaque, a sticky biofilm that forms on your teeth, is an accumulation of bacteria, other microorganisms, food debris, and other unpleasant components. It can make your teeth feel fuzzy or slimy. And worse, the bacteria in plaque can lead to tooth decay and gum disease. The best way to keep plaque at bay is by brushing your teeth twice a day and flossing once a day. But even though you can remove much of the plaque in your mouth with a toothbrush and dental floss, there are nooks and crannies that are hard to access with these basic oral hygiene tools. Staying on top of dental plaque is an ongoing challenge. Immediately after teeth are cleaned, plaque starts to form again. And the longer plaque stays on teeth, the thicker it grows. Minerals in saliva become incorporated into the biofilm. As plaque takes on more minerals, it becomes calcified. This is when it hardens into calculus, or tartar. At this stage, tooth-brushing and flossing cannot disrupt the hardened layer of buildup, sometimes visible as yellow or brown deposits around the gum line. This is why it’s important to schedule regular professional dental cleanings. 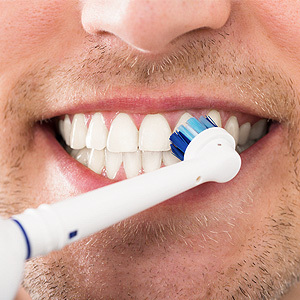 At the dental office, we have special tools to remove tartar and get at those hard-to-reach places that your toothbrush and floss may have missed. If you have questions about dental hygiene, plaque control or another oral health issue, we are happy to talk with you. We are your partners in fighting plaque for a bright, healthy smile! Can you have healthy teeth and still have gum disease? Absolutely! 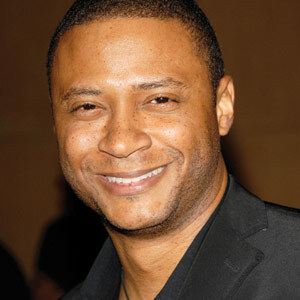 And if you don’t believe us, just ask actor David Ramsey. The cast member of TV hits such as Dexter and Arrow said in a recent interview that up to the present day, he has never had a single cavity. Yet at a routine dental visit during his college years, Ramsey’s dentist pointed out how easily his gums bled during the exam. This was an early sign of periodontal (gum) disease, the dentist told him. “I learned that just because you don’t have cavities, doesn’t mean you don’t have periodontal disease,” Ramsey said. Apparently, Ramsey had always been very conscientious about brushing his teeth but he never flossed them. “This isn’t just some strange phenomenon that exists just in my house — a lot of people who brush don’t really floss,” he noted. Unfortunately, that’s true — and we’d certainly like to change it. So why is flossing so important? Oral diseases such as tooth decay and periodontal disease often start when dental plaque, a bacteria-laden film that collects on teeth, is allowed to build up. These sticky deposits can harden into a substance called tartar or calculus, which is irritating to the gums and must be removed during a professional teeth cleaning. Brushing teeth is one way to remove soft plaque, but it is not effective at reaching bacteria or food debris between teeth. That’s where flossing comes in. Floss can fit into spaces that your toothbrush never reaches. In fact, if you don’t floss, you’re leaving about a thirdÂ to half of your tooth surfaces unclean — and, as David Ramsey found out, that’s a path to periodontal disease. Let that be the same for you! Just remember to brush and floss, eat a good diet low in sugar, and come in to the dental office for regular professional cleanings.